After inventing the first production three-point seatbelt in 1959, Volvo’s focus on safety only intensified, especially since just having the seatbelt there was no guarantee that anyone would use it. The company also anticipated many safety features that are standard today, most fantastically this backup camera on its 1972 Volvo Experimental Safety Car, or VESC. 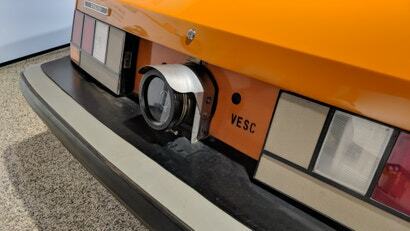 The camera, which reminds me of the old Instagram logo, fed footage to a CRT screen embedded in the car’s dash. 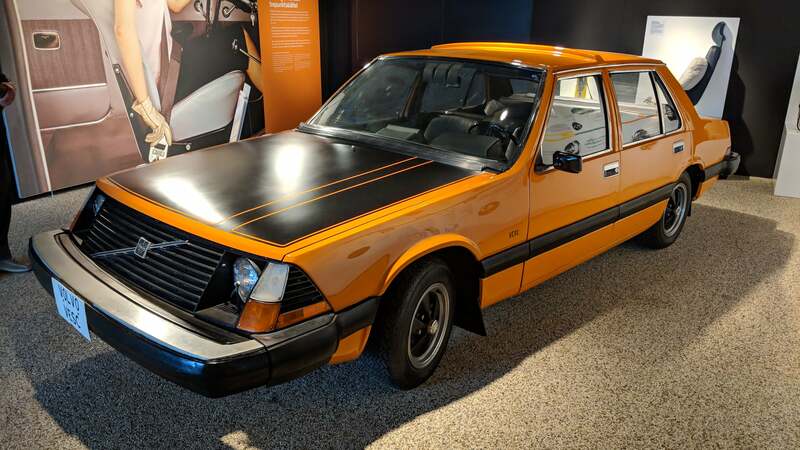 For all of the people complaining about modern backup cameras ruining the rear of cars these days, you have to say that this one in fact improves the look drastically. 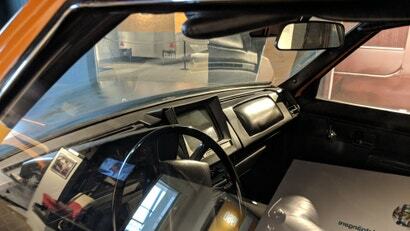 Even better is the screen inside, which wouldn’t look out of place in modern cars, though its CRT-ness sticks out, the curvature of the screen and all. What else did this car include? Rear- and front-bumpers designed to absorb impact, seatbelts which pulled tight (even though they’d been around for over a decade, the three-point seatbelt wasn’t widely used because they didn’t pull tight), a steering wheel which went forward nearly 15cm in case of a crash, front and rear airbags, a fuel tank positioned near the car’s center, an automatic fuel shut-off mechanism, anti-locking disc brakes on all four wheels, an integrated roll cage, and wipers on the rear window and headlights. 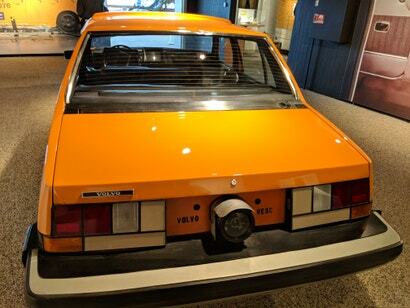 The VESC was also somewhat of a looker. That livery should be an option on all new cars. 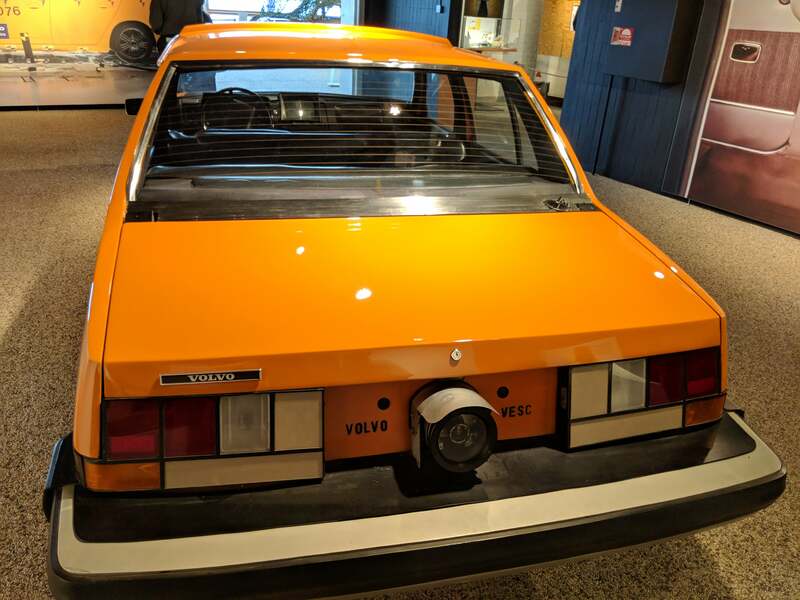 The VESC debuted at the Geneva Motor Show, many of its innovations you would see worked into a Volvo’s cars over the years, though it took much longer for backup cameras to become common. Still, the VESC’s will never be beat.